Elke Weber, associate director for education at the Andlinger Center, was named a 2018 Fellow by the American Association for the Advancement of Science (AAAS). 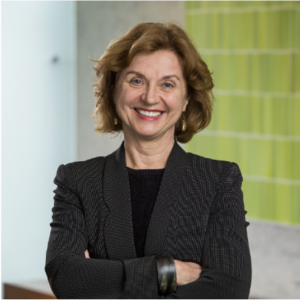 Weber, Gerhard R. Andlinger Professor in Energy and the Environment and professor of psychology and public affairs at the Woodrow Wilson School of Public and International Affairs, is known internationally for her work on behavioral decision science and psychological theory. Her work focuses on measuring and modeling the behaviors of individuals and groups as they deal with uncertainty and tradeoffs in business decisions and how such choices impact the environment. She has been recognized for her distinctive approach in linking psychology principles to behavior change and noting the implications for environmental and energy policy and communications. In 2016 the Society for Risk Analysis recognized Weber with its “Distinguished Achievement Award,” granted for extraordinary achievement in science or public policy relating to risk analysis. Her most recent work, “The Influence of Anticipated Pride and Guilt on Pro-Environmental Decision Making,” published in PLOS ONE last year, studied how people make decisions and how guilt or pride motivates or stymies environmentally conscious behavior. The study found that participants who were exposed to anticipation of pride consistently reported higher pro-environmental intentions than those exposed to anticipated guilt. Her research straddles psychology, economics, environment, and policymaking. Weber is one of 13 national researchers recognized by AAAS in 2018 for distinction in psychology. The AAAS seeks to “advance science, engineering, and innovation throughout the world for the benefit of all people,” and inaugurated its first class of fellows in 1874. Read more about the honor and see all of the Fellows in the AAAS press release, and the University’s announcement on the Princeton homepage here.